In 1995, Superintendent Glenn Maleyko, Ph.D. began his career in education at Oakman and Maples Elementary. In 1997, he was hired as a full-time teacher at Salina Elementary, a school that would become home for the next 12 years. He was named Assistant Principal in 2002 and then Principal of Salina Intermediate in 2003. In 2009, Dr. Maleyko was appointed Principal at DuVall Elementary. Two years later, Maleyko was selected as the new Director of Human Resources and then in 2013 was named Executive Director of Staff and Student Services. He remained in that role until 2015 when he was the unanimous choice of the Board of Education to take the top spot as the leader of the 21,400 student district. Dr. Maleyko holds four degrees including a Bachelor’s degree in history and political science from the University of Windsor, a Master’s degree in Curriculum and Instruction, and a Specialist degree in Educational Leadership from the University of Detroit Mercy. He graduated from Wayne State University in 2011 with a Doctor of Philosophy in Educational Leadership and Policy Studies. Superintendent Maleyko has written several articles pertaining to educational practices and has authored research presented at a scholarly research conference. He also presented on a variety of educational topics at both state and national conferences. He is an Executive Board member of the Middle Cities Association, the Metropolitan Bureau and is very active with the Michigan Association of School Administrators. Maleyko has a long history of leadership in the district. He has lead several committees and while working as principal he collaborated with other teachers to create and host a technology camp that drew more than 1,400 teachers from the area. He was named a model school principal by Dr. Bill Daggett’s International Center for Leadership in Education (ICLE) in 2009. As the Superintendent of Dearborn Public Schools he has received a Highly Effective Rating by the Board of Education as Graduation Rates in Dearborn have achieved an all time high of over 93 percent district-wide. Dr. Maleyko continues to be very visible in the schools and community with more than 400 school visits during the 2017-18 school year. 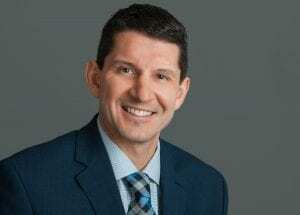 He was named the 2019 Superintendent of the Year by the Michigan Association of Superintendents and Administrators. Dr. Maleyko is married with two children, is a Executive Board member of the Dearborn Rotary Club, a member of the Dearborn Exchange Club, and enjoys reading and cheering for his favorite hockey team, the Detroit Red Wings.